The Ritz-Carlton Yacht Collection is redefining luxury sailing with its custom-built yachts, extravagant itineraries and over-the-top amenities. If you thought you knew all the best ways to explore a destination, think again. The Ritz-Carlton is introducing custom-built luxury yachts for full-blown sailing experiences around the world complete with bespoke accommodations, onboard activities and shore excursions in some of the world’s most beautiful destinations. Measuring 190m long, the three specially designed yachts are smaller than your usual cruise ship, allowing them to cruise into city harbors instead of anchoring offshore. It even allows them to explore places like Portofino, Capri and Mykonos, places where larger ships are unable to access. With 149 suites, they can accommodate up to 298 passengers and will include one of the highest staff to guest service ratios in the cruise industry. Each suite will have its own private terrace and for those looking for the ultimate experience, two 158-square-meter penthouse suites will be available to book, each with its own private whirlpool. There will also be a restaurant by Sven Elverfeld of Aqua, the three Michelin-starred restaurant at The Ritz-Carlton, Wolfsburg; a signature Ritz-Carlton spa; a Panorama Lounge and Champagne bar; and its signature Ritz Kids programming. Voyages will range from seven to 10 days, stopping at both intimate and signature destinations. And since no two itineraries are alike, guests can combine back-to-back voyages without repeating ports. The first ship will cruise a wide variety of destinations depending on the seasons, including the Mediterranean, Northern Europe, the Caribbean, Latin America, Canada and the Northeastern US. Ports along the way range from Barbados, Cartagena, Bordeaux and Copenhagen, as well as ports that deliver a yacht-style sailing experience including Carriacou, Falmouth Harbour, Gustavia, the Balearic Islands, Mykonos, Portofino and more. Five distinct shore excursions allow travelers to pick a category that fits their interest and activity levels. All shore excursions take advantage of local guides who have been handpicked for their local knowledge, giving guests the ultimate opportunity to explore a destination. Plus, guests can take their time as the journeys incorporate overnight and daytime ports. Iconic Sights: Discover cultural, historical and architectural marvels, perhaps by browsing a Montenegro museum or taking an exclusive tour with its curator. Stirring the Senses: Focus on wellness and wellbeing by enjoying relaxing experiences like sunrise and sunset yoga in the Grenadines or encountering a spiritual shaman. Cultural Connections: Spend a day helping protect wildlife or the natural environment, among other philanthropic activities. Active Explorations: Take park in outdoor adventures like swimming with turtles in Tobago Cays or a private sea kayak tour off the coast of Reykjavik, Iceland. Epicurean Experiences: Explore the world’s cuisine with tasty activities like visiting a renowned Bordeaux winery with The Ritz-Carlton Yacht Collection sommelier or learning to grow baby oysters in a private farm in Sete, France. 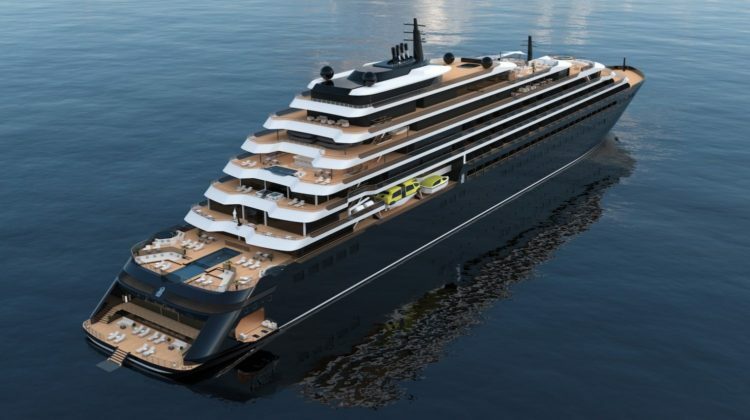 Board the first yacht which is scheduled to set sail November 2019. Reservations will be open to the public June 2018, while Ritz-Carlton and Marriott Rewards loyalty members will have priority access booking in May 2018. Prices will vary based on itinerary and season. And for those looking for a truly private experience, the yachts are available for private charter.